Moving away from the welcome distraction that is Euro 2016, the official Premier League fixtures for the 2016/17 season have been released and it’s also on the Arsenal website. Here’ s a quick overview of Arsenal’s Premier League fixtures for the campaign. 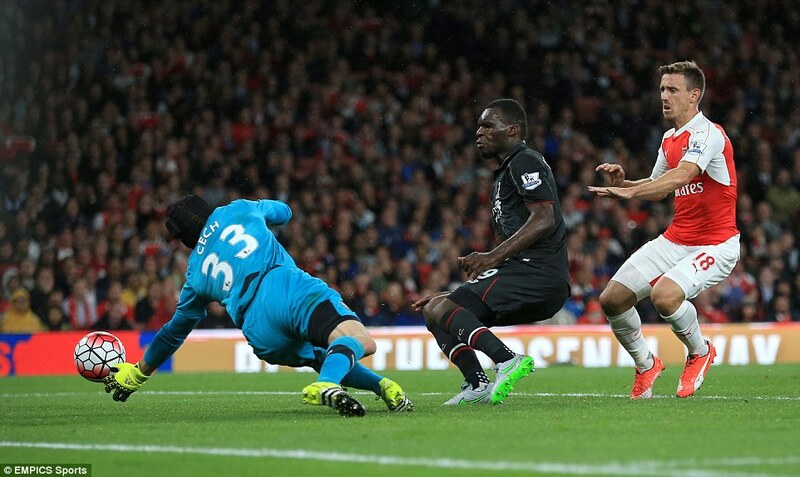 The Gunners would kick off the new campaign with a home game against a formidable opponent in Liverpool. Jurgen Klopp has already been busy in the transfer market with some shrewd signings like Loris Karius from FSV Mainz and Joel Matip from Schalke 04. After clashing with Liverpool, Arsenal will visit the ground of the defending champions, Leicester, and it would be interesting to see how it pans out, especially with the lingering Jamie Vardy situation. The month will end with the Gunners visiting Walter Mazzari’s Watford. The last time Southampton visited the Emirates, Fraser Forster put up a man of the match performance. With Ronald Koeman switching to Everton, the Saints will be tasked with finding a new manager and I’m sure he will be settled in before he brings his lads to the home of football. After hosting Southampton, the Gunners would visit Hull City and I’m sure the fans at the KC Stadium will be happy that it’s not another FA Cup knockout tie, because they’ve become sick of playing Arsenal and losing all the time. The month will end with a home clash against Chelsea. With Jose Mourinho no longer pulling the strings at Stamford Bridge, we would have to see whether the Gunners shambolic record against the club is a cause from the Netherrealm. If there’s any month I expect a clean sweep for the Gunners, it’s October. An away clash against Burnley should be pretty much routine but these teams have a penchant for springing up the odd upset from time to time. Then there’s the home clash against Swansea and I will be expecting some measure of revenge following last season’s torrid result at home to the Swans. Clashes against Middlesbrough and Sunderland complete the month. November has traditionally been a bogey month for Arsenal and the FA didn’t fail to disappoint, as the Gunners are set to lock horns with fierce enemies, Tottenham and Manchester United, that are now under the guidance of Arsene Wenger’s nemesis, Mourinho. Arsenal’s North London rivals have grown in stature since Mauricio Pochettino took over but I expect it to be a very tricky month. I just hope there wouldn’t be any needless injuries to contend with. The festive period will always have a grueling run of fixtures and December is no different with two tricky trips to Goodison Park and Etihad sandwiched between some home clashes against Stoke, West Brom and Crystal Palace. Arsenal begins the new year with a visit to the Vitality Stadium before travelling to Wales to take of the Swans. Two comfortable home games against Burnley and Watford follow the away run of fixtures. The Gunners visited Stamford Bridge and St. Mary’s in February, two grounds they suffered disappointing defeats last season. While the Chelsea loss had a sour feel about it, the 4-0 demolition suffered in the hands of Southampton was rather shocking to say the least. I hope the lads make amends this time. In March, it’s to Anfield where the Gunners take on Klopp’s goons and I”m hoping I don’t suffer any more heartache like the late goal Joe Allen scored to deny Wenger’s side three vital points. This would be followed by Leicester visiting the Emirates and they’d be gunned down by some good finishing from Vardy. The month would be rounded up when the lads visit the Hawthorns but there would be no Mikel Arteta to concede an embarrassing own goal this time. April sure has a lot of fixtures and if the Gunners manage to get far in other competitions, this would be a struggle for the lads. This obviously means that keeping the squad fresh and rotated would work ideally for Wenger. With the season winding down, the Gunners have a potential title decider against Manchester United in early May, and this would be followed with clashes against Stoke and Everton to end the campaign. Here’s to a great Premier League campaign. Posted on June 15, 2016, in Arsenal, Football, Premier League and tagged Arsenal, Football, Premier League. Bookmark the permalink. Leave a comment.